Come to Bonclarken, the conference center of the Associate Reformed Presbyterian Church, where our prayer is that you will be inspired and renewed in your faith in Jesus Christ. 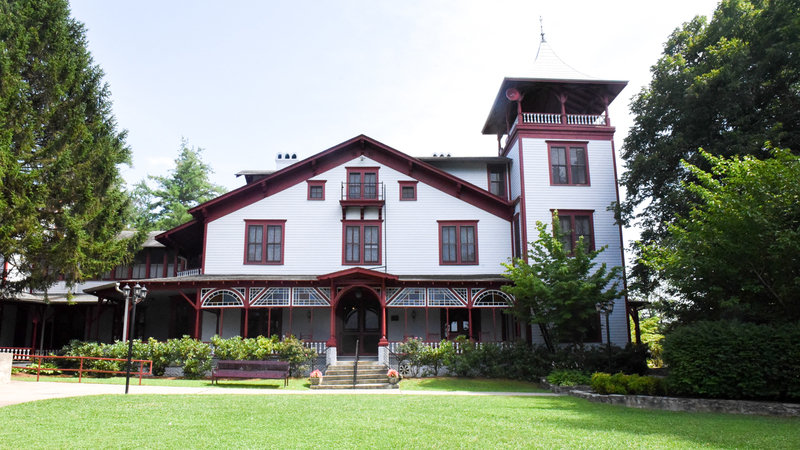 Nestled in the Blue Ridge Mountains of western North Carolina, Bonclarken offers a variety of accommodations for groups of five to 350 guests. From refined to rustic—with suites, hotel, cottage and cabin accommodations—our retreat packages will fit any budget. Youth, couples, families, women, men, singles, professionals — you’ll love the difference Bonclarken makes for the success of your event. From refined to rustic – We have suites, hotel, apartments, cottage, and cabin accommodations available for every housing need. Bonclarken is a Christian Conference Center which exemplifies the best of what the area has to offer. It is convenient to major cities such as Charlotte, Greenville, and Atlanta. Yet the center offers a secluded feel in the midst of a forest of evergreens. Just up the highway from the Carl Sandburg home and close to the famous Biltmore House, Bonclarken is nestled in a peaceful setting in the stunning Blue Ridge Mountains.